All politics involves the art of lying. The Left obsesses over Donald Trump’s unique practice of the art (Although… really. Wasn’t James Comey just a couple months ago the lying spawn of Satan-Trump himself? ), but prevarication is a well-worn screwdriver in the progressive toolkit, too. Leftist lies are often by omission. If someone had had the good sense to ask President Obama what might happen if your insurance company were to alter that healthcare plan you like by as little as a comma, then we all may have learned that you really couldn’t keep the fricking plan, after all. The Arizona Republic recently published (apparently only in its paper editions) a great example of a Leftist’s Lie by Omission. It ran on Saturday on the oped pages. By the director of the local Sierra Club, Sandy Bahr. Bahr wrote about the impending closing of the Navajo Generating Station near Page. It is the largest coal-fired power plant in the Western U.S. In addition to delivering power to a multitude of states, it provides power to the Central Arizona Project, which delivers (uphill!) Arizona’s portion of Colorado River water. That takes a lot of power. The NGS had an Obama-era target on its back. Closing it was a top goal of Obama’s activist Environmental Protection Agency. But even with the obnoxious “Clean Power Plan” in hand, Obama’s fierce change-agents at the EPA couldn’t quite pull it off. They managed to shut down a third of the plant’s capacity, but that was it. Then, earlier this year, the owner-operators announced the plant would close. The driving force? It wasn’t the heavy hand of Washington at work. It was economics. Coal, historically one of the cheapest and most efficient-burning sources of energy, could no longer compete with other, cheaper power-providers. Which is true. And if Ms. Bahr had simply ended her sentence there, she would have been spot-on accurate. Coal really is in a death spiral as a fuel source nationally because natural gas is so cheap. But Ms. Bahr is an environmental activist, which renders it impossible for her to acknowledge that coal is being displaced by cleaner burning gas, because gas is not perfect, and Leftists bow only to perfection. For honest environmentalists, the revolution in the natural-gas industry is a hugely significant event. But it is largely because of fracking, which they despise. So very few on the Green Left can acknowledge how natural gas is dampening the increase of carbon dioxide in the atmosphere. But the NGS is not closing because of competition from heavily subsidized energy options such as solar and wind. It is closing because natural gas. Because fracking. Nowhere in Ms. Bahr’s oped (subscription required) does she mention the words “natural” and “gas” next to each other. And that is just a falsehood. Even in the Age of Trump, it qualifies as a lie. If you look at the websites of liberal Democrat candidates Tom Chabin and Bill Mundell you’ll see they’re practically clones. They both use header photos from Roosevelt Lake, including a photo of Roosevelt Dam; the language is identical with the exception of their names and the layouts are inverse. Not much creativity and not much diversity. That’s what you’d end up getting on the Arizona Corporation Commission if these two green corporatists get elected in November. Both campaigns are running exclusively on the message that Arizona Public Service is evil and bazillion dollar deals are taking place in smoky backrooms. What they won’t tell you is that the leftist-controlled “green” corporations will be working behind the scenes to make these two Democrats carry their agenda. And what is the agenda of these big green corporations? To keep the flow of ratepayer and taxpayer dollars to the solar industry and other heavily-subsidized green corporations. These are the companies that have imploded or gone bankrupt like Solyndra, Abengoa and SunEdison. Don’t be fooled by all the hyperbole rhetoric by Bill Mundell and Tom Chabin over “dark money.” They themselves will be the beneficiaries of dark money as Big Solar dumps millions of dollars into the Arizona Corporation Commission race to get them elected. For Big Solar and the other green corporatists, it’s about getting votes on the Commission so they can ramrod policies through that hurt taxpayers, ratepayers and cost thousands of jobs. 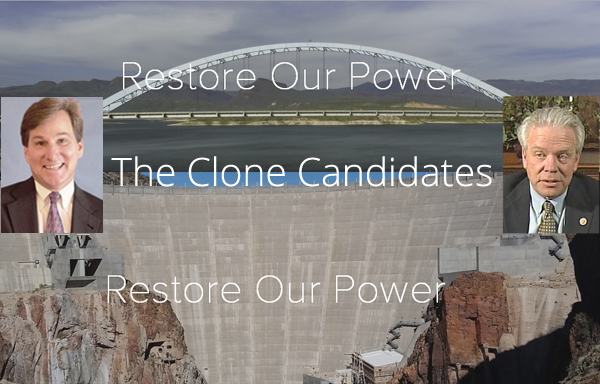 This election, beware the clone candidates who will open the door wide to disastrous Obama green energy policies right here in Arizona. WASHINGTON, D.C. – Today, U.S. Congressman Paul A. Gosar, D.D.S. (AZ-04) released the following statement after a federal appeals court issued a nationwide stay blocking the implementation of the Environmental Protection Agency’s (EPA) Waters of the U.S. (WOTUS) rule resulting from a lawsuit filed by 13 states, including the state of Arizona:“As federal courts around the country continue to limit the Obama Administration’s lawless, overreaching regulations, the bureaucratic minions forcing these policies down our throats should take notice. No president or D.C. bureaucrat is above our Constitution. For the good of our country, I pray that this misguided effort to illegally push an ideologically-driven agenda, will continue to be thwarted by our judicial system. Furthermore, those who are knowingly violating the law to impose job-killing regulations by executive fiat should be held accountable. Today’s decision is another massive blow to an administration that continues to run roughshod over the rule of law and disregard our nation’s system of checks and balances. Congressman Gosar has also inserted funding riders into appropriations bills, blocked a democrat amendment that tried to strip one of his WOTUS riders and voted at least five different times for legislation that has passed the House to block WOTUS. 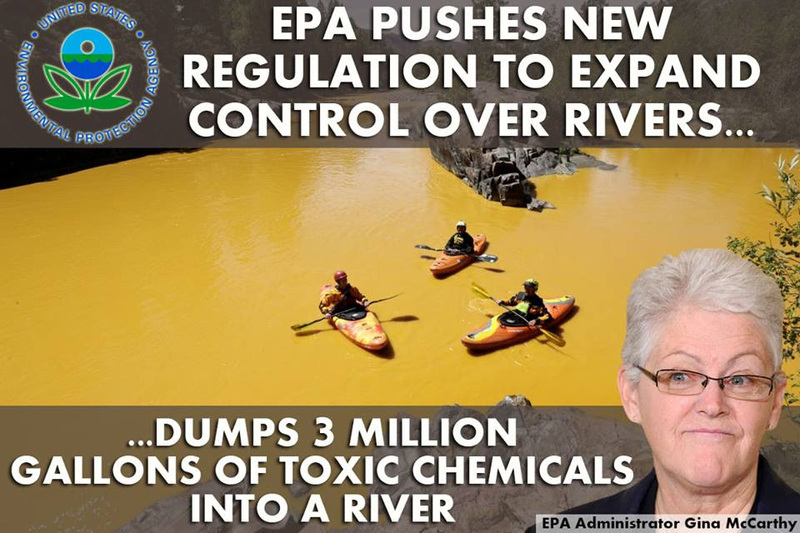 In July 2015, he berated EPA Administrator Gina McCarthy and submitted revelatory evidence into the Congressional Record from senior Army Corps of Engineer employees which expressed serious legal and scientific deficiencies with the final draft of the WOTUS rule. Take The Quiz! Who Said It? B. “he supports driver’s licenses for young immigrants awarded work permits under a new Obama administration program. He also praised the U.S. Senate’s Gang of Eight for working on comprehensive immigration reform legislation. Feel free to post your answers in the comments! During her tenure in the Arizona House of Representatives, Reeve served as Chair of the House Environment Committee, and as member of the Energy & Natural Resources, Higher Education & Innovative Reform, Military Affairs & Public Safety, and Transportation & Infrastructure Committees. She is well-versed in Environmental and Natural Resources litigation and regulatory matters, as well as a vast array of other complex litigation and policy issues. Former Representative Amanda Reeve joins a quickly growing list of support, including that of former U.S. Senator Jon Kyl, U.S. Representative Trent Franks, former State Senators Linda Gray, Barbara Leff, Dean Martin, and Kathleen Dunbar, County Attorney Bill Montgomery, Representatives Debbie Lesko, Paul Boyer, T.J. Shope, Brenda Barton, John Allen, Nancy Barto, Karen Fann and Warren Petersen, Mayor Tom Shope, Len Munsil, former Congressman David McIntosh, and more than 120 grassroots leaders throughout Arizona in endorsing Mark Brnovich for Arizona Attorney General. Martha McSally: Who does Ron Barber Really Stand With? TUCSON – Martha McSally, Congressional candidate for Arizona’s Second District, released the following statement today after the Obama Administration announced new energy regulations on states. The regulations are expected to increase energy prices on families and businesses while eliminating jobs across the country. On Monday, the Environmental Protection Agency (EPA) announced draft rules that would require 30% reductions in CO2 emissions across the country over the next 15 years. Under the proposed rules, Arizona would be forced to cut emissions by 52%, the second-highest mandate for any state in the country. The U.S. Chamber of Commerce estimated last week the new regulations would cost the U.S. economy $50 billion and eliminate 224,000 jobs. The EPA also has admitted the new regulations will increase energy costs for American consumers. Will Kyrsten Sinema Support Obama’s Job Destroying Cap-and-Trade Scheme? Kyrsten Sinema Will Have to Choose Between Saving Jobs or Backing her Friends in D.C.
WASHINGTON – Is Kyrsten Sinema going to listen to Arizona voters and save American jobs, or will she fall in line with her Democrat allies and support President Obama’s latest cap-and-trade scheme that could cost the U.S. economy $50 billion a year and eliminate an estimated 224,000 jobs? Will Kyrsten Sinema Support Obama’s Job Destroying Cap-and-Trade Scheme. It will limit American energy production and spike electricity prices. The USFS has recently reversed its seemly sudden policy of restricting hunters to a 72-hour rule. Instead, they have made it clear that sportsmen may keep their trailers set up for the regular two-week period, and in many cases covering the term of their hunting permit. A 5th generation native of rural Arizona, Representative Barton retired from municipal service after over 21 years. First elected to office in 2010, she now chairs the important Agriculture and Water committee in the House. Brenda has made Arizona’s agriculture industry and securing our water supply a main focal point of her work in the Legislature. A graduate of the Dodie London Excellence in Public Service Series program, and past state director of the Arizona Federation of Republican Woman, Brenda also serves on the North American Council of the State Agriculture and Rural Leaders Legislative Summit. PHOENIX – Governor Jan Brewer today announced the State of Arizona will continue funding Grand Canyon National Park in light of the continued federal government shutdown. On Friday, the governor negotiated an agreement to reopen Grand Canyon for up to at least seven days using state and local monies. Under the terms of the agreement, the State of Arizona is paying $93,000 per day to the National Park Service to fully fund park operations. Governor Brewer today authorized the use of state dollars from the Arizona Office of Tourism to continue funding the Canyon for up to an additional nine days, through October 27, if the federal budget stalemate in Washington persists. If the shutdown ends prior to then, Arizona will be refunded for any unspent days. Visitors to Arizona’s national parks have spent an average of $2.5 million a day during October in recent years – $1.2 million per day at Grand Canyon National Park alone. The State of Arizona will seek support from members of its congressional delegation to authorize federal reimbursement of any state dollars expended to fund park operations during the shutdown.